Internet connectivity is one of the cheapest and most widely available bandwidth options. However, when it comes to building a corporate wide area network (WAN), Internet connectivity is still not seen as a reliable medium for important business data. 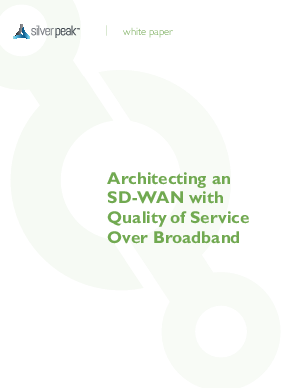 There are too many questions about whether broadband can support the quality and reliability enterprises have come to expect from their WAN. As a result of this skepticism regarding broadband quality, Internet links are often used as backup, where they largely sit idle.